Living in 3d? 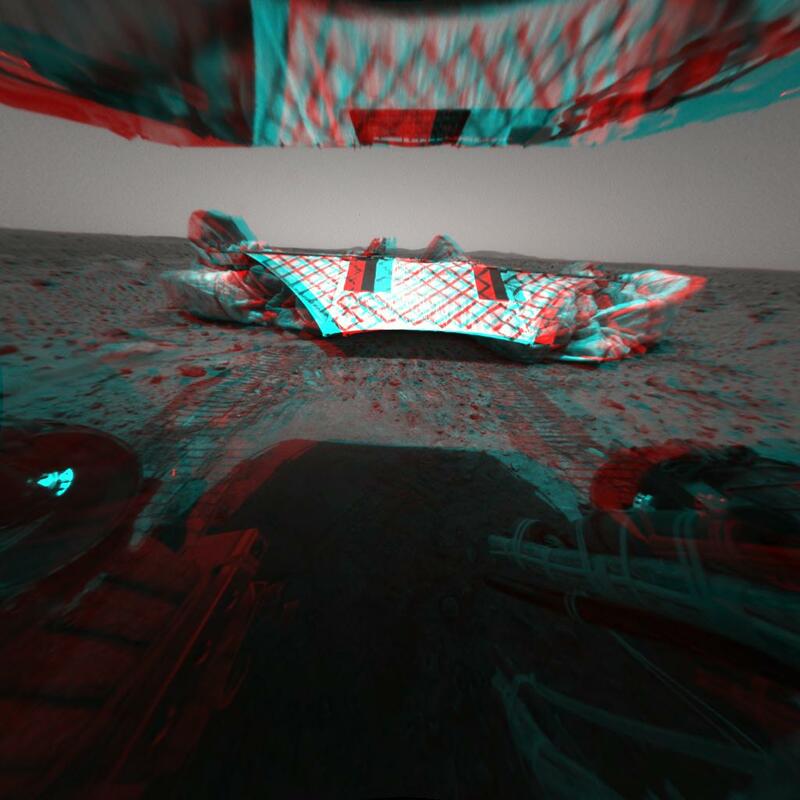 So here are these really cool 3D Mars Pictures. But my question is, where do I get the specs? I saw these freebie 3D glasses, but who knows if they are the right kind. I will report further if I find out. Faithful readership, please let me know? I want RSS to disappear. I want RSS to disappear. The question was posed, “What do users want from RSS”? I thought long and hard about this and here’s where I come out. Speaking strictly as a user, what I care about are RSS applications. I care about reading, scanning, writing, absorbing, learning from, contributing, and sharing. So what I want from RSS is to disappear into the plumbing, and in every way possible enable and encourage great applications to be designed and built. All kinds of wonderful new stuff that is yet to be invented. Authoring tools, reading tools, syndication applications, content applications, distribution servers, mass political blogging platforms, search engines and indexes, rating systems, and zagat’s guides, catalogs and taxonomies, categorizations schemes and services, content crawling services – summarizers – delegators, translators, linkers, transmitters and receivers. This is still just the beginning, in my opinion. So while I could list (and I will) a set of more prosaic wishes for the protocols and technologies which will enable these wonderful applications, I think at the core, I wish that the users never had the need to know the word Are-Ess-Ess. Some amazing (Mars) panoramas. This is via Boing Boing. If you look at the navigation device in the bottom right, you’ll see that this site actually is an archive of all kinds of cool 360 degree panoramas! …. Here’s the idea — an instant, bottom-up meeting. WTF. Let’s get together face to face. Let’s talk about the end of telephony and the beginning of communication, about the end-to-end principle and its enemies, about smart people and dumb companies, intellectual property and creative commons, digital democracy and info-surveillance, e-commerce and the war against customers, and whatever else is on our minds. Let’s get to know each other, learn from each other, exchange ideas, frustrations, tools, toys and hacks. And let’s see what happens from there. WTF — it’ll be lots more exciting than talking corporate heads behind podiums….. But now it seems like Salas, a onetime Lotus exec, has put the project on hold temporarily, and is turning his energies to consulting. This is accurate, but with a strong emphasis on the word TEMPORARILY. I am looking into ways to add resources to the BlogBridge project. I continue to feel strongly about the underlying ideas. In fact with every week that goes by, things get more interesting. Please contact me if you want to talk or get involved. By the way, you can find more information about BlogBridge at http://www.blogbridge.com. It’s easy to predict the future! It’s easy to predict the future. Tim Bray has just concluded an interesting series of postings on what he calls TPSM or Technology Predictor Success Matrix. I’ve had a belief for a while that actually it’s easier than you think to predict the future of technologies. I will limit my comments to technology and computer related predictions, but I bet this applies to other fields as well. My point is predicting what will happen eventually is easy… What’s hard of course is to predict when. So the first question to try to pin down a prognosticator is When? Without that, the prediction is more or less useless. What do you think? Wonderful Mars pictures? Unavailable! I was looking around the Mars Rover Web site for some of those amazing pictures, and to my surprise they are now asking for a password to get into the ‘raw images’ area. I’ve got to believe that this is not for security but because their server was getting totally beat up by people like me browsing around.